It’s his third solo album, his third solo world tour, and he sold out three nights at Madison Square Garden — again. 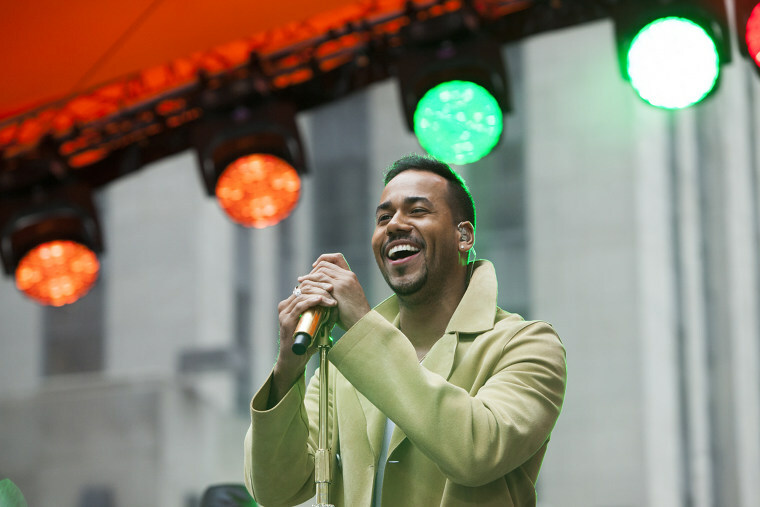 In Romeo Santos’ world, this third go around is a result of a single constant: Santos has an incomparable ability to create endless chart-topping songs, as we see in his new album, "Golden." His U.S. tour, which kicked off this week in New York City, goes overseas, followed by Latin America and ending in the Caribbean. The soft spoken and somewhat timid Bronx native has 11.8 million followers on Instagram alone. His latest video for his song “Sobredosis,” featuring reggaeton sensation Ozuna, reached nearly 4 million views in its first 48 hours. However, Santos shares a moment when he did. "I cried hearing a Ricardo Arjona song called ‘Mi Novia Se Me Esta Poniendo Vieja.’” Arjona is a widely successful Guatemalan singer and songwriter who has sold over 40 million albums. The song is one big analogy where Arjona discusses how his girlfriend is getting older, she doesn’t dance like she used to, how she’s overprotective. At the end of the song you realize that his “girlfriend” is actually his mom. Most of Santos’ songs are about women, whether it be an admiration for their physique, the way they break hearts or the way they love, and he is unabashed about his love for them. He also acknowledges he owes his career to them. "I don’t think it’s a secret that women are more intelligent than men. They calculate better, they’re more patient," said Santos, sure to please many of his fans. Though he is known for bachata, a Dominican music style, Santos’ mother is from Puerto Rico. He said his family in Puerto Rico was okay, "under the circumstances.” Physically, he said, everyone is fine but their homes suffered structural damages after Hurricane Maria, and he has been helping them rebuild.